Hey Mama! 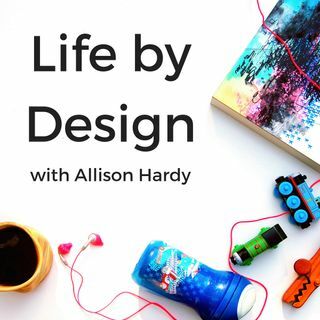 And welcome to episode #114 of the Life by Design Podcast with Allison Hardy! Today I have the pleasure of interviewing published author, certified keynote speaker, transformational life coach, and Licensed Professional Counselor Wendie Lloyd. But most importantly her greatest joys are her two sons Justin and Andrew. Wendie believes that we have all been created for a unique purpose and when we align our Mind, Body and Soul to that purpose we can attain fulfillment and ... See More abundance in all aspects of our lives. It is often through our pain that we grow the most and with clarity and focus we can turn that pain into purpose. There is no obstacle too large that we can’t overcome and experience pure joy and achieve the vision we have for our lives. Leaving a legacy for our children and grandchildren as well. > For Wendie, having it all is being fulfilled in the parts of our life that make us whole. Feeling fulfilled in these areas is what she helps her clients to achieve and what she strives for daily. > The idea of leaving a legacy inspires and motivates Wendie daily. She knows that her children are watching her, and they are learning how to interact in the world through her actions. > Wendie went back to get her master’s degree when her son was one. It motivated her in a way that she had never experienced in that she truly felt like she was leading her sons and showing them that they could really do and accomplish anything they put their minds to. > Having strategies to implement when life happens are imperative to you “enjoying the ride” while raising kids and a business.